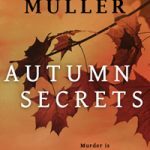 Susan C. Muller is an award winning author of the Seasons Pass Series. A fourth generation Texas, she currently hangs her hat in Spring, Texas. I’ve know Susan for a very long time, and I love her books. So I was pleased when she agreed to sit down with me for an interview. Susan: I want to plot. Life would be so much easier. I try, really I do, but when I sit down to plot, nothing happens. So I just begin writing and hope something will come to me. I do start out knowing what the crime is and the clue that will eventually solve it. I know who the hero/heroin is and who is the villain, but just the basics. Their characters become more developed as I write. Basically, I learn about them along with the reader. This does cause problems. Sometimes I have to go back and add or change a few details. Amazingly, I often find I’ve already laid the groundwork for whatever plot line I’m developing. Is this a coincidence or did writing it earlier spark some kind of light bulb moment? I have no idea, but I’m always thrilled when it happens. 2. Books are often described as character driven or plot driven. Which do you write? Susan: Do I have to pick one? If a book doesn’t have an intriguing plot, the reader gets bored (so does the writer) and puts it down. 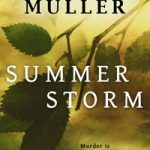 If readers don’t care about the characters, they lose interest. 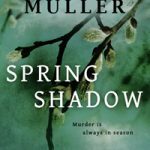 I try for a plot with enough twists and turns to keep the reader guessing, a few edge-of-your-seat scenes, and a couple of red herrings. I want my characters to be deep and complex. While my hero is generally a male cop (that’s about to change in my next book) I make sure my heroine is just as strong and plays a crucial part in solving the crime. And the villain must absolutely be the hero’s equal in strength, intelligence and determination. Otherwise the story is one sided. 3. Are you self-published or traditionally published? Susan: I’m sort of a hybrid, with one foot in each camp. It sure is nice to have a publisher make decisions for you, and I’ve learned a lot that way. It’s also nice (but very scary) to make your own decisions about covers, fonts, release dates, and one hundred other things you didn’t even know needed deciding. Marketing is the hardest part. I’m not very good at it, but except for the elite top tier authors, you have to do it yourself either way. I’m kind of an introvert. I can stand in front of a packed room and talk about writing techniques all day. (Well, not all day. My feet give out.) It’s later, when everyone is standing around visiting, that I have a problem. But I’m working on that. Christie, you never seem to have a problem talking to strangers. It’s one of the qualities I admire most about you. Maybe if I hang around you long enough, some of that will rub off. It hasn’t so far, but there’s always hope. If not, Maggie and I will just have to enjoy our daily walks with you and Lady. 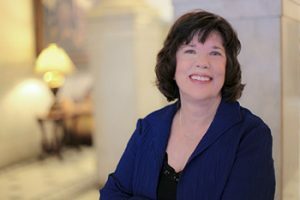 Thanks, Susan, for sitting down with me for this interview. 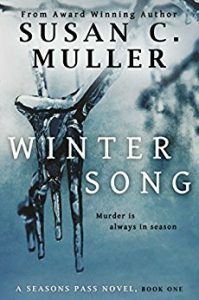 Winter Song is available for only 99 cents, but hurry, this deal will only last until August 11th. You can buy Winter Song at Amazon. You can read an excerpt of Winter Song HERE. I love her books! The Secrets on Forest Bend is my favorite. I bought Winter Song but haven’t read it yet. I’m sure it’s fantastic as well.